We aimed to develop a simplified protocol for transplantation of Brycon orbignyanus spermatogonial stem cells (SSCs) into Astyanax altiparanae testes. Brycon orbignyanus testes were enzymatically digested and SSC purified by a discontinuous density gradient. Endogenous spermatogenesis was suppressed in A. altiparanae using busulfan or by incubation at 35 °C water, and SSCs from B. orbignyanus labeled with PKH26 were injected into their testes via the urogenital papilla. Twenty-two hours post-transplantation, labeled spermatogonia were observed in A. altiparanae tubular lumen. After 7 days, spermatogonia proliferated in the epithelium, and 21 days post-transplantation, sperm was observed in the lumen. Of surviving host fish, nearly 67% of those treated with busulfan and 85% of those held in warm water showed labeled cells in host germinal epithelium. The present study standardized, by a simple and accessible method, germ cell transplantation between sexually mature Characiformes fish species. This is the first report of xenogenic SSC transplantation in this fish order. 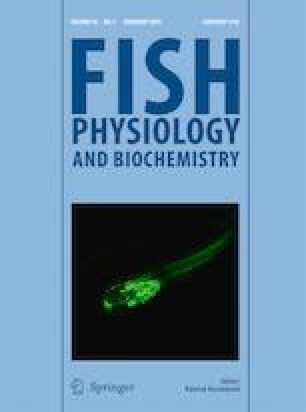 The authors are deeply grateful to Douglas de Castro Ribeiro for help constructing the aquarium system and to Usina Hidrelétrica Engenheiro Souza Dias (Jupiá-CESP) and Centro Nacional de Pesquisa e Conservação da Biota Aquática Continental (CEPTA) for providing the fish used in this study. This study was supported by Fundação de Apoio à Pesquisa de São Paulo (FAPESP; Process number: 2013/24218-5) and Conselho Nacional de Desenvolvimento Científico e Tecnológico (CNPq; grant number: 160-380/2011). Experimental procedures were conducted in accordance with the guidance for care and use of animals in the laboratory of Universidade Estadual Paulista (UNESP-Ilha Solteira). The Committee of Ethics and Research of UNESP approved the protocol 006/2012/CONCEA.